American satellite and broadcast provider Dish Network has won a default judgment of $650,000 against the man behind the defunct third-party Kodi-addon ZemTV. UK-based developer "Shani" is liable for copyright infringement because his addon, which was distributed via TVAddons, retransmitted Dish's content. Last year, American satellite and broadcast provider Dish Network targeted two well-known players in the third-party Kodi add-on ecosystem. In a complaint filed in a federal court in Texas, the persons behind the ZemTV addon and the TVAddons library were accused of copyright infringement. Following a confidential settlement, last month Dish Network dismissed its lawsuit against TVAddons founder Adam Lackman. However, ZemTV developer Shahjahan Durrani, Shani for short, remained at risk. The UK-based Kodi-addon programmer initially planned to defend himself but had to give up this fight due to the high costs. As a result, Dish moved for a default judgment which has now been granted. Without a proper defense, US District Court Judge Vanessa Gilmore agreed that Shani is indeed liable for the copyright infringements that were carried out through his addon. “Defendant developed ZemTV and then distributed and supported it through [..TVAddons..], resulting in his unauthorized retransmission of the Protected Channels and causing injury to Plaintiff throughout the United States. Therefore, Defendant is liable for direct copyright infringement,” Judge Gilmore writes. Dish previously argued that ZemTV’s infringing activities were willful and asked for the maximum statutory damages of $150,000 per infringed work. This would serve as a clear deterrent to Shani and other infringing Kodi-addon developers, the company said. The Judge doesn’t want to go that far though. Instead, the developer is ordered to pay a third of the requested amount, which adds up to $650,000. “The amount consisting of $50,000.00 for each of its thirteen registered, copyrighted works that Defendant willfully infringed by retransmitting these copyrighted works without authorization on ZemTV,” Judge Gilmore writes. A negative outcome was nearly unavoidable as the developer didn’t defend himself. 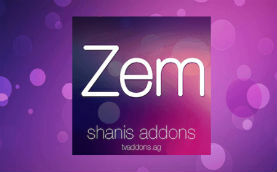 In addition to the damages, Shani is also barred from distributing ZemTV or any similar addons in the future. TorrentFreak reached out to Shani who is not convinced that Dish is ‘winning’ anything with this verdict, as the external sources that were used by his addon remain online. “Dish are still at the same place they started. They didn’t lose any money due to the addon and the sources which the addon scanned still are online. The Zem addon is not maintained so obviously it won’t work, but the apps and servers it scanned are still working. “Based on their complaint, we should see a 10-fold increase in their subscriptions. Well, I won’t hold my breath, Shani tells us. Whether Dish will actually recoup any of the damages has yet to be seen. The addon developer gave up the legal fight due to a lack of funds, so it seems unlikely that he can pay $650,000, if he intends to pay at all. The default judgment wraps up the Dish lawsuit, which was one of the first enforcement efforts related to Kodi piracy. While Kodi itself is perfectly legal software, the entertainment industry is determined to root out the piracy links. This and other efforts appear to have had some effect, as Comparitech highlights that Kodi-related search traffic has dropped significantly over the past year. Google’s autocomplete ban likely plays a role here, but it seems plausible that the various anti-piracy efforts are paying off too. A copy of the default judgment issued yesterday by Texas US District Court Judge Vanessa Gilmore is available here (pdf).